Ty Cobb autographs have been really hot in recent years, this one is especially nice. Offered is a 1937 postmarked GPC, this is signed in flowing black fountain pen, which is very unusual. The autograph contrasts nicely against the reasonably clean GPC, this looks great. 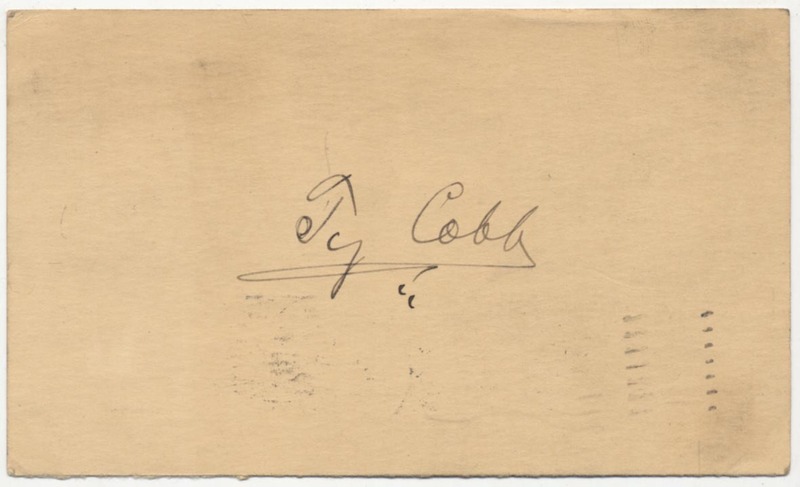 Most Cobb autographs that trade are from the 1950s in green ballpoint ink, the offered piece is somewhat special. JSA LOA (full).